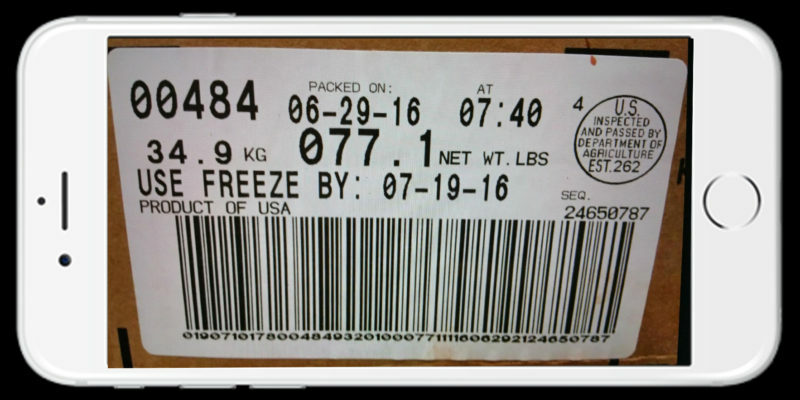 The Establishment Number is usually in a circle above the barcode. 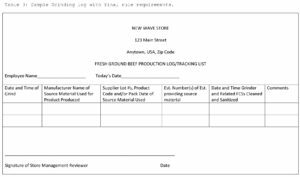 The employee filling out the log must understand how to read each label and write the appropriate information in the spaces provided on the sheet. This is a tedious chore for anyone who fills out this manual form. It is also very time consuming, not to mention the FSIS USDA has reported that across the US only 3 percent are complete, 9 percent are incomplete , and 88 percent have no records at all. The cost of using the manual log is very high because you are paying someone to manually write down the correct info and it be legible, you are entrusting them with the future of your meat department and/or huge fines if the USDA visits your store and finds you are not compliant as the report shows above, and in the time it takes to do these tedious entries they could have been finished with their grinds, packed, and placed the product out for sale. As you can see the cost in every way using the manual form is high and risky. 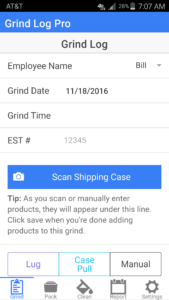 If you take everything you have to do above and trade it for just typing in an Establishment Number, Pressing a button that scans the barcode and places the correct information immediately into your report, you not only increase productivity, reduce your costs, but you become completely compliant, and have no risk. Not to mention your employees don’t have to stand there and decode this information and write it down when they could be working. 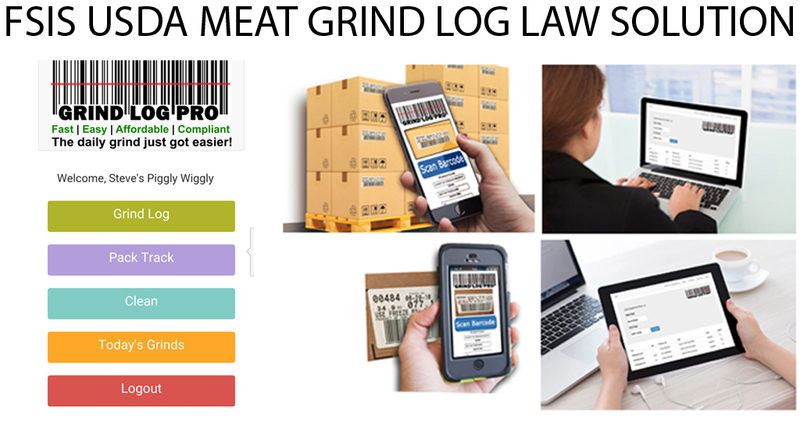 The Electronic Grind Log scans the barcode and places the correct info in the correct place every time. It is super fast and you don’t have to worry about the USDA fining you or shutting down your meat department if they audit you. You are completely compliant, and you pay your employees for what they were hired to do rather than fill out compliance reports that take all their time. The Electronic Beef Grind Log is only $10.00 a week. That is only $1.33 a day. Take the amount of time it takes your employee to decode the label, write down the info, and bring it to you to sign every day and look at how much you are paying then to write instead of work. Then calculate the cost if the USDA shows up and audits your reports and finds them either not complete or not legible. The choice is a button click or manually decoding and writing down the info. Take the risk out, maximize your time and profit, and keep your employees doing their job. Let us know if you have any questions. We are always happy to help you. If you need manual logs we provide them to you, if you want an electronic grind log we provide that as well.